Students will have three lab sessions this week to work on their Human Rights Project. There is no school on Friday April 19th for the statutory holiday (Good Friday) nor on the following Monday (Easter Monday, April 22nd). Circumstances changed unexpectedly, twice in a row; students are now back on their initial schedules in which this course will be led by Ms. Robin Carrey. Ms. Carrey and all of the students in this class would like to sincerely thank Ms. Sidaway-Wolf for her expertise, her kindness, her humour and her dedication; she made the first two weeks of the course thoroughly engaging. We are all grateful for the opportunity to work with and learn from you, Ms. "Sideways-Coyote"! We continued reviewing the slide show on Criminal Law in Canada. Students have two lab sessions (Tues and Thurs) to work on their Human Rights Report Project which is due on May 1st. This week students had another lab-work period for their Human Rights project and we began learning about Criminal Law in Canada. For details, please see the slideshow link below. Although the key headings in this slideshow are aligned with the textbook All About Law, several include information from other sources. 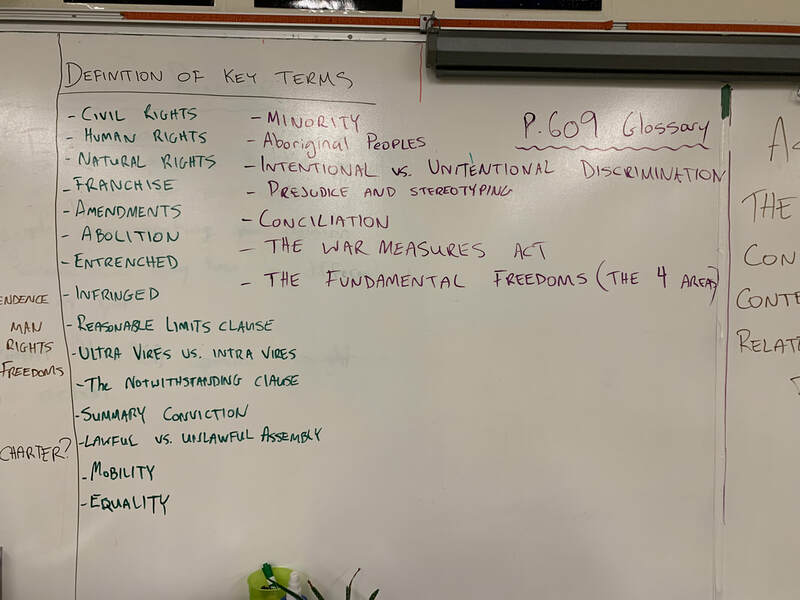 During this period of time we watched a series of videos and did a series of readings in preparation for a major project that students will be doing on Human Rights in Canada. A number of resources for this have also been added to the Flipboard magazine (see link above). When we start to look at various human rights issues in Canada, you begin to see patterns of intersectionality - places where socio-economic groups over-represented in one area of human rights concern also appear over-represented in another. In Canada, human rights are protected by federal, provincial and territorial laws. Canada's human rights laws stem from the Universal Declaration of Human Rights. In 1948, John Humphrey, a Canadian lawyer and scholar, played a significant role in writing the Declaration. When it was complete, the Declaration provided a list of 30 articles outlining everyone's universal human rights. The government has yet to pay adequate attention to systemic poverty, housing, water, sanitation, healthcare, and education problems in Indigenous communities, particularly those in remote and rural areas. The United Nations Committee on the Elimination of Racial Discrimination in September urged the government to remedy what it found were persistent violations of the rights of Indigenous peoples. Today, the Division for Sustainable Development Goals (DSDG) in the United Nations Department of Economic and Social Affairs (UNDESA) provides substantive support and capacity-building for the SDGs and their related thematic issues, including water, energy, climate, oceans, urbanization, transport, science and technology, the Global Sustainable Development Report (GSDR), partnerships and Small Island Developing States. The Yukon Human Rights Commission makes every effort to help settle complaints by assisting both the individual or group making the complaint and the individual or group to whom the complaint has been made against. In August the UN CERD Committee expressed concern about Indigenous land rights violations and Canada's failure to respect the right of free, prior and informed consent. The Committee asked Canada to report back within one year on measures to address the impacts of the Site C dam. The Canadian Human Rights Reporter Inc. (CHRR) is a not-for-profit organization established to promote access to human rights law in Canada. 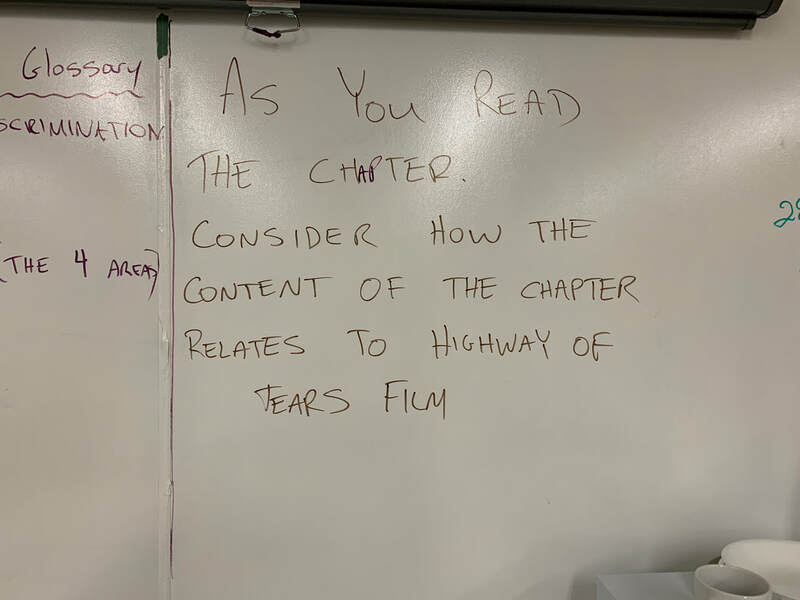 We watched the film Highway of Tears; I cannot, however, post the film here because it is a paid item. I am including a trailer here and some other videos on the same topic. Some of the videos below feature some of the same individuals as were interviewed or whose stories were part of the feature film Highway of Tears. If you would like to watch the film, you can follow the link Highway of Tears and either purchase permanent access or rental access. In both of these films the social context and influences of endemic racism and systemic racism on the fact that these crimes have been going on for decades. Part of this project is to make recommendations about moving forward. In that spirit, I include these pieces related to the continued abductions and murders of Indigenous Women. 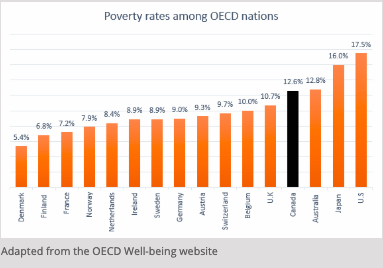 While many of the links and resources have a Canadian focus, there are contributions above and below this text from other countries because of what perspective they can offer. Gay filmmaker Bryce Sage has had a big question on his mind ever since he came out of the closet-how is evolution compatible with the existence of gay men? Bryce sets out on a very personal journey to find out if scientists have come up with a definitive answer to this gay conundrum. An implicit bias is any unconsciously-held set of associations about a social group. Implicit biases can result in the attribution of particular qualities to all individuals from that group, also known as stereotyping. Implicit biases are the product of learned associations and social conditioning. Like everybody else, I possess unconscious biases about people that are contingent on how they talk and look. Such instant judgments, called implicit bias, involve "automatically categorizing people according to cultural stereotypes," Sandra Graham and Brian Lowery write in " Priming Unconscious Racial Stereotypes About Adolescent Offenders." The Ontario Human Rights Commission (OHRC) released an interim report in December 2018 looking at racial profiling and discrimination by Toronto police toward the city's black community. The results are dire. OHRC found that: Between 2013 and 2017, a Black person was nearly 20 times more likely than a White person to be involved in a fatal shooting by the Toronto Police. If written properly, your thesis can act as a "roadmap" for your paper, where each main idea presented in your thesis essentially becomes the topic of your body paragraph. To see this in action, use the suggested outline below. In the resource below, there are several steps outlined, if you're looking for a step-by-step on how to write a structured report. This is a suggested format. Check your instructions or ask your tutor if there is a specific structure required for this report assignment. What are social sciences? Social sciences focus on one specific aspect of human behavior, specifically social and cultural relationships. Social sciences can include: While writing a research paper, it is always important to give credit and cite your sources, which acknowledge others' ideas and research that you've used in your own work. Our APA citation generator and comprehensive guide to APA format is your one-stop shop for everything APA related. Citation examples for tons of sources included! This page is brought to you by the OWL at Purdue University. When printing this page, you must include the entire legal notice. Copyright ©1995-2018 by The Writing Lab & The OWL at Purdue and Purdue University. All rights reserved. This material may not be published, reproduced, broadcast, rewritten, or redistributed without permission. For students who would like a template to follow, I have created a template in Google Docs. A student may save a copy to their Drive and edit it as needed (including deleting comments which I added to provide direction). Even if a student chooses not to use Google Docs to create their paper, this will provide them with a visual template they can follow. Please note: Neither Mac Pages nor Google Docs has a native citation formatting function. Word, for both PCs and Mac DOES. There are free online citation tools, some seen above, but they tend to charge for APA formatting. I can set students up with their NoodleTools accounts which will allow them to track and set up their citations. It will take a few minutes but it's doable, and free as the school pays for the students' accounts. This week we've begun to take a closer look at the ways in which Canada's Charter of Human Rights is - and is not - observed in modern Canada. It needs to be considered in light of similar historical documents. Simplified Version This simplified version of the 30 Articles of the Universal Declaration of Human Rights has been created especially for young people. 4. No Slavery. Nobody has any right to make us a slave. We cannot make anyone our slave. 15. Right to a Nationality. Learn about the history and founding of the United Nations, as well as the draft of its Universal Declaration of Human Rights, in the aftermath of the genocide and abuse found in World War II. Find out about Eleanor Roosevelt's role in writing the act, referring to it as the International Magna Carta. In this period of time we examined the background of how human morality evolves and how that relates to the establishment of laws. In this video, researcher Jonathan Haidt discusses the elements of human morality. Please note that the video below contains some graphic images. Students were warned about the nature of the graphic footage, and the video was paused prior to that segment being shown. The speaker also warns the audience. Students had the option of not watching that segment of the video. These images were and remain widely available on the internet due to the massive media coverage in reaction to the abuses at Abu Ghraib. In this video, Zimbardo, a renowned social psychologist, challenges viewers to consider not only the impact of "bad apples" - individuals who make antsocial choices - but also the "bad barrels" (the circumstances) and the "bad barrel makers" (policies, laws, people in authority) that also impact many of the examples we see of people or groups breaking socially accepted laws. Zimbardo also details what he believes to be the seven social processes that enable us to distance ourselves from each other and thus engage in criminal, violent and/or antisocial behaviours. In the video below, Dutch researcher Frans de Waal examines the ways in which other animals - other primates in particular - seem to share some of the basic foundations of morality with humans, suggesting that morality itself has an evolutionary basis and purpose in social animals. This week students began work on their essay. Students had a series of topics to choose from. This assignment was given by Ms. Sidaway Wolf. Below find a template students can use to help plan their essay. FINAL DUE DATE for this project is FEBRUARY 21st. Students explored the curriculum (see above) with Ms. S.W. so that they understand the Big Ideas they will be expected grasp by the end of the course. 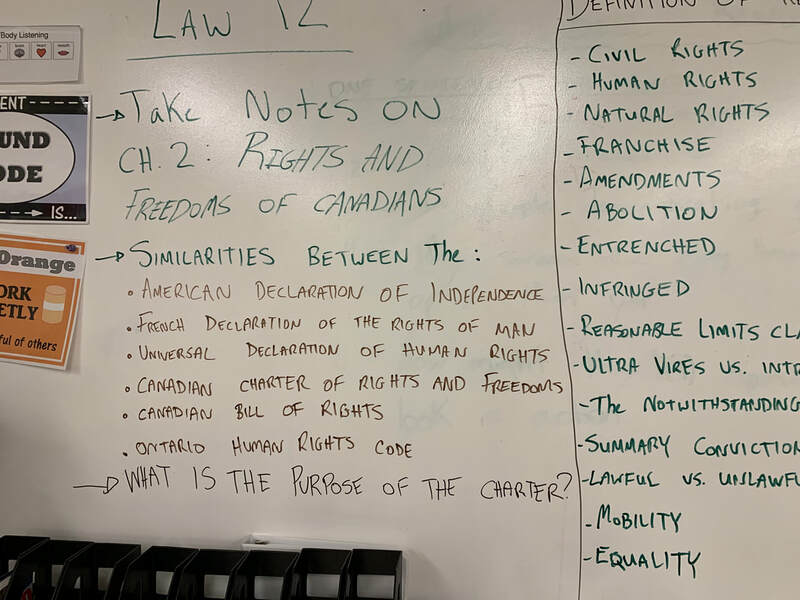 Students explored the Canadian Charter of Rights and Freedoms and completed a Scavenger Hunt task related to the Charter. This guide explains the Canadian Charter of Rights and Freedoms (the Charter) and its importance in the daily lives of Canadians. This content is not legal advice and should not be taken as legal interpretation of the provisions of the Charter. The legal text of the Charter is published online as Constitution Act, 1982. Students did a text book features activity (Scavenger Hunt) and answered questions #1-5 on pg 9 of the All About Law text book. With Ms. S.W. 's support, students completed a web on divisions of Canadian Law. The SlideShare presentation below, by Lois Fuller, contains the relevant information about Divisions of Canadian Law. Please just ignore the second slide. 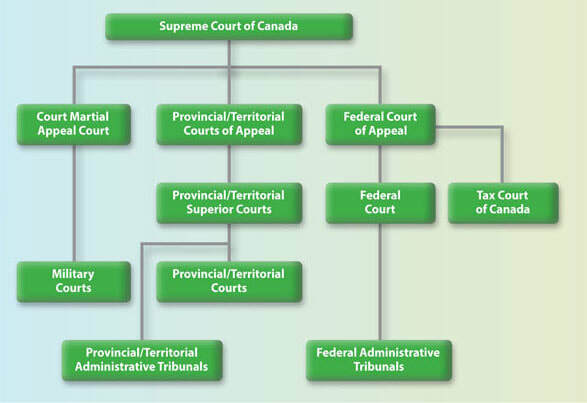 Divisions of Canadian Law Substantive and Procedural Law. Canada is a nation governed by laws, and the Canadian legal system is the means through which those laws are written, organized, enforced, and interpreted. As a country founded by England, the fundamental principles of Canadian law are not terribly different from those governing the legal system of Great Britain, the United States, or any other country with a history of British rule. The students learned about the philosophy of Utilitarianism. Please find information below. In this section, please find a selection of links intended to support learning / provide context and supplementary information for the notes taken in Chapter 1. The debate over capital punishment came to a climax in Canada during the 1970s. Under Prime Minister John Diefenbaker (1957-63), most death sentences handed down by the courts, fifty-five of sixty-three, had been commuted to life imprisonment. Canada's last execution occurred in 1962, at the Don jail in Toronto, with a large demonstration taking place outside the prison. Introduction Canada is a "constitutional monarchy," which is a form of government where monarchs act as the political heads of state but their powers are kept within the boundaries of that country's constitution. In Canada, the monarch is the Queen. Capital punishment was removed from the Canadian Criminal Code in 1976. It was replaced with a mandatory life sentence without possibility of parole for 25 years for all first-degree murders. In 1998 capital punishment was also removed from the Canadian National Defence Act, bringing Canadian military law in line with the civil law in Canada. In the Canadian federal government, the Cabinet is made up of the prime minister, members of Parliament and sometimes senators. Each member of the Cabinet, also known as the Ministry or the Cabinet du Canada in French, is assigned a portfolio of responsibilities, usually the subject matter of a government department, such as Agriculture and Agri-Food, Employment and Social Development, Health, and Indigenous and Northern Affairs. The Conservatives have used their clout in the Senate stacked by Prime Minister Stephen Harper to kill an NDP climate change bill that was passed by a majority of the House of Commons.